The Harbor House is one of the pioneers of the Sarasota real estate developments located at the twenty-two-acre Golden Gate Point in Sarasota, Florida. As in the other properties in the area, it capitalizes on the peninsula’s wonderful location by the Sarasota Bay and the proximity to the many fascinating attractions of the city and its suburbs. This community is composed of three developments: the flagship Harbor House, and its sister condos, the Harbor South and the Harbor West. The Harbor House has thirteen residences all bearing the 174 Golden Gate Point address in a five-story building built in 1967. The condos for sale at Harbor House have been upgraded and remodeled to keep up with the changing lifestyle and preferences found in other Sarasota condos for sale. It is a close-knit community which doesn’t allow property rentals, unlike most condominium developments in the area. The floor plans of Harbor House condos for sale average 1,200 feet and are generally list-priced in the $400s–$600s range. 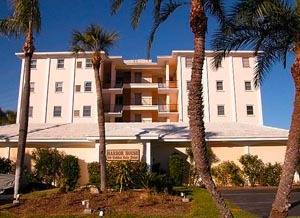 The usual condo amenities, such as carports and elevators, are provided at Harbor House. Its boat docks, however, set it apart from other landlocked properties in the area. These boat facilities enable its residents to easily enjoy nearby bayfront points of interest and fishing opportunities in the Gulf of Mexico. Boaters and non-boaters alike, nevertheless, can share the many other delights in the Sarasota area like the Selby Botanical Gardens which has an extensive collection of tropical plants. Also around the bayfront and the downtown area are charming restaurants like the O’Leary’s Tiki Bar and Grill, Ceviche Tapas, and Café Amalfi. As equally delightful, the Harbor House is just a few minutes away from the centers for entertainment, arts, and culture of Sarasota. For instance, the Sarasota Opera House, the Burns Court Cinema, and the Golden Apple Dinner Theater are just a short drive away from Golden Gate Point. 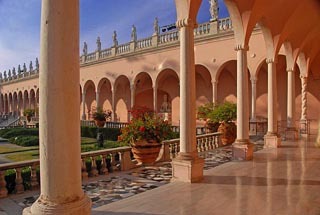 The same goes for a visit to the famous Van Wezel Performing Arts Hall, the Ringling Museum of Art, and the GWiz Science Museum. Not much gas will be spent in shopping for daily necessities as within the downtown area are such establishments as the Publix Supermarket and the Whole Foods Market. Other sundry needs can be conveniently procured at the downtown’s Crossroads Shopping Center or at the Merchants Pointe Shopping Center, among others. For more variety still, St. Armands Circle is just across the Ringling Bridge which also leads to the beach playgrounds of the famous the Florida barrier islands of Lido and Longboat Keys that provide further excitement to living in Sarasota. Below are all of the current condo listings available for sale at any of the 3 Harbor House developments. Listing courtesy of: Sarasota Bay Real Estate P.A.